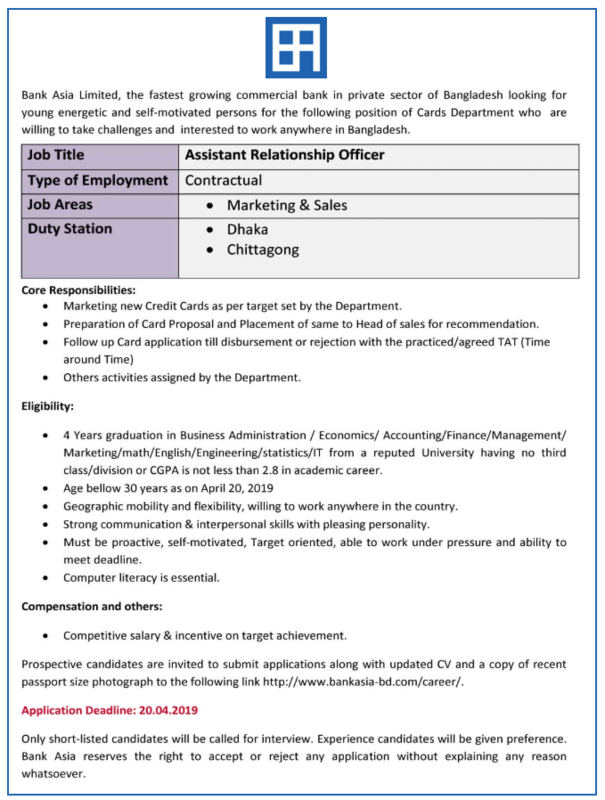 Bank Asia Job Circular & Career 2019! Bank Asia Limited has issued a new employment recruitment notice on their own website, eligible candidates can apply for bank jobs by April 20, 2019. 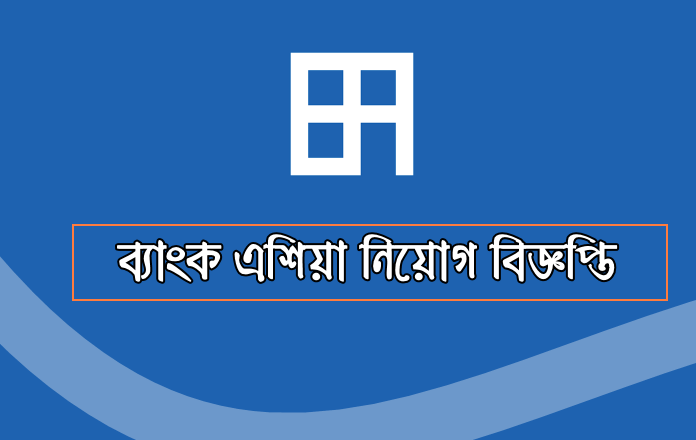 Bank Asia Limited is a private bank, Bangladesh’s journey to Asia was started in November 1999. If the bank wants to build a career in Bank Asia, then definitely apply for this job. If you want to apply for this job in Bank Asia, then you must read the following notice very well or else there will be problems. 4 Years graduation in Business Administration / Economics/ Accounting/ Finance/ Management/ Marketing/ math/ English/ Engineering/ statistics/ IT from a reputed University having no third class/division or CGPA is not less than 2.8 in academic career.Geographic mobility and flexibility, willing to work anywhere in the country. Must be proactive, self-motivated, Target oriented, able to work under pressure and ability to meet the deadline. More job news Mobile offers stay with our website to get various updates including the price of the smartphone. This job news has been collected from Bank Asia’s own website.